Q.1 Danteshwari temple of dantewada is situated on the confluence of which rivers? Q.2 Which of the important pilgrimages on the confluence of the three rivers namely, Mahanadi,Pairi and Sondhul? Q.3 The waterfall that is also known as the "Niagara of India" is ? Q.4 Which is the following is not a tributary of the Mahanadi river? Q.5 The drainage basin of the mahanandi river is shared by the states of ? Q.6 Due to the association of the Narmada river with Lord Dhiva,the river is also known as ? Q.7 The river Shivnath owes historical importance as its name is associated with the famous ? Q.8 Which is the following is not a tributary of the Godavari river ? 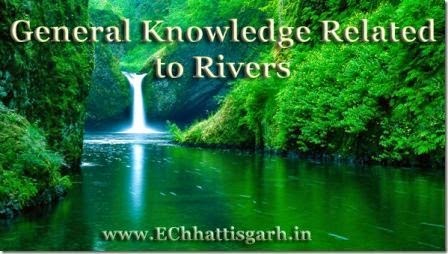 Q.9 Which dam has been constructed by the Government of Chhattisgarh on river Kharoon? Q.10 Which of the following lakes was constructed by king Brahmdeo, the Kalchuri emperor?